Source: Airways New Zealand, 2018. Chances of getting a job as an air traffic controller are poor due to the small number of people in the role and high competition for positions. 1 year of training usually required. Pay for air traffic controllers varies depending on where they work, their experience and their duties. Pay includes a base salary plus superannuation, shift work allowances and other benefits. New air traffic controllers working at regional airports usually start on about $90,000 a year. 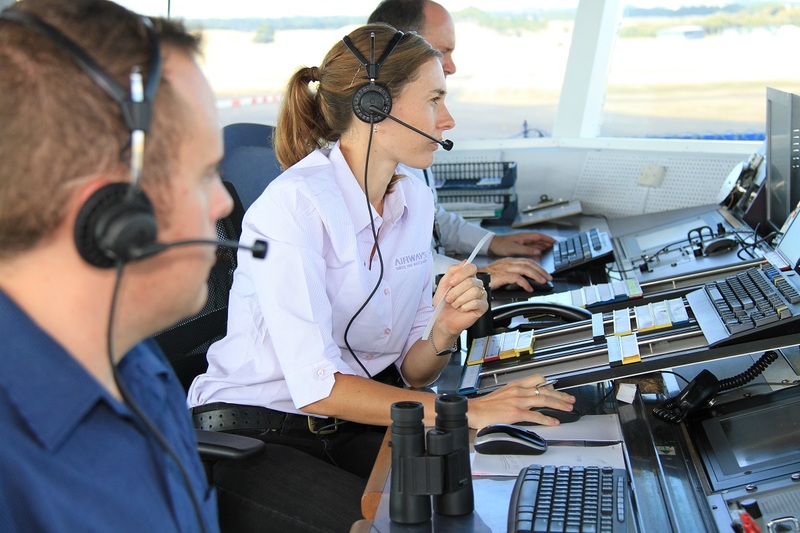 Experienced air traffic controllers can earn up to $160,000. Air traffic controllers who work at the radar centres in Auckland or Christchurch can earn up to $180,000 a year. safety rules and emergency procedures. may work alone at small airports. 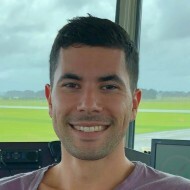 George Perigo always had a passion for aviation, so when he read about being an air traffic controller he knew it was the career for him. Since then, George has successfully completed his training and now keeps air traffic moving as a fully-fledged air traffic controller. “A typical day essentially involves preventing collisions between aircraft, whether they are on the ground or in the air. “Air traffic controllers have strict duty times to reduce tiredness. We generally work four days on, two days off, with maximum seven-and-a-half hour shifts. A lot of people do ask me the question "Do you have to be a rocket scientist?" "Do you need to be super-smart at maths?" You just need to be a well-rounded person, that's got a good amount of common sense. We teach you how planes fly, how helicopters fly, and the difference between them. We teach you about the weather, about navigation, what the pilot is actually thinking while he's up there, what he's feeling and going through when you can hear in his voice that he's getting bumped around or a bit nervous. I did the training centre quite a number of years ago and I still text and talk to the guys on my course. We all try and catch up and go out for a beer and stuff like that. Because we're similar personality types we all get on really well, and we joke and laugh and have a great time. Once you get signed off from that [the training centre] you then get posted to a particular unit and you work at that unit under the guidance of an instructor until the instructor is happy that you could do it solo. Then you get signed off and get your ATC license. The achievement of getting sign-off is actually quite a big thing. Hopefully I'll sign someone off today, and the whole team is really excited about it. That person will go home tonight and sleep very well and it will dawn on them tomorrow that they're an air traffic controller. And it'll be a massive and fantastic feeling for them. Airways New Zealand hold regular intakes to the course each year, but entry is very competitive. If you are under 20.5 years old, you can do a Bachelor of Aviation Management at Massey University for two years, before doing the Diploma in Air Traffic Control for the final year of the degree. NCEA Level 3 is required to enter tertiary training. Useful subjects include English and mathematics. clear communicators and able to work well with others. Air traffic controllers need to have a good amount of common sense, be able to stay calm under pressure, and be good at making decisions. work in industries with a strong health and safety focus, for example, work in emergency services. Air traffic controllers need to have good hearing and eyesight (with or without corrective lenses), normal colour vision and good spatial awareness. They also need to be reasonably healthy, as they have to pass a medical examination every one to three years. Vacancies for air traffic controllers are limited due to the small number of people in the role – less than 400 air traffic controllers are employed nationwide. Most air traffic controllers stay in the role for a long time so there is low staff turnover. For these reasons there is high competition for any vacancies. Airways New Zealand, the only employer of air traffic controllers, takes just 12-18 trainees into the Diploma in Air Traffic Control course each year. Entry into the course is very competitive. Trainees who complete the course and meet other requirements usually get a job. New technology air traffic management systems, set to be introduced over the next 10 years, could result in a reduction in demand for air traffic controllers in the long term. Virtual control towers are being trialled, which could mean controllers monitor air traffic from remote locations in the future. All air traffic controllers work for Airways New Zealand. Airways New Zealand website, accessed February 2018, (www.airways.co.nz). Bradley, G, 'Watch: New air traffic control system in Auckland', New Zealand Herald, November 2017, (www.nzherald.co.nz). Bradley, G, 'Airways spending $58m on new system to handle booming air traffic', New Zealand Herald, March 2017, (www.nzherald.co.nz). McGrody, J, talent acquisition and retention manager, Airways New Zealand, Careers Directorate – Tertiary Education Commission interview, February 2018. Air traffic control policy and standard specialists co-ordinate and provide advice on procedures, licensing and standards issues. Air training centre instructors train air traffic controllers. Aeroplane pilots fly aircraft to transport people or goods. Some pilots fly aircraft to aerially spread fertiliser or bait. Flying instructors teach people how to fly aeroplanes, helicopters or other aircraft. Helicopter pilots fly helicopters carrying people or cargo.